He wasn't the messiah. He was a very naughty boy. Embarrassing Humans presents a 40th Anniversary ‘I Can’t Believe You Haven’t Seen’ screening of Monty Python’s Life of Brian! 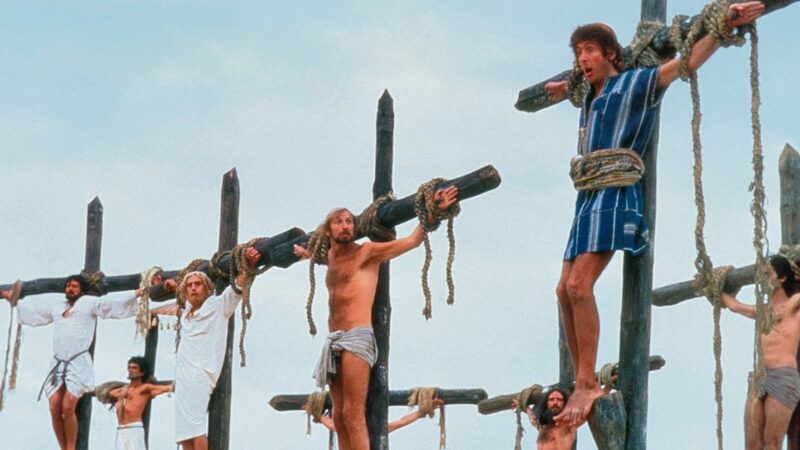 Kick off your Easter Long Weekend with the SECOND greatest story ever told, Monty Python’s Life of Brian! Join the Embarrassing Humans for a special one night only 40th Anniversary Screening of one of the best comedy movies of all time! Grab a bag of the best buttered popcorn in Ottawa, and all the theatre candy you can carry, and settle in for some laughs. Also, there will be an amazing selection of craft beer from Collective Arts Brewing, a menu item from The Smoque Shack, and other surprises to make your night out just that much more special!